Is the Classic Card rechargeable? 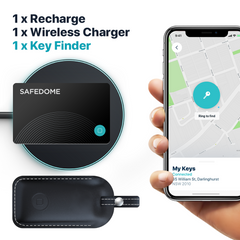 Safedome Classic is not rechargeable. The fixed battery lasts for up to 2 years based on usage. We’re are considering a replacement scheme in the future. How thin is the Safedome Classic card? 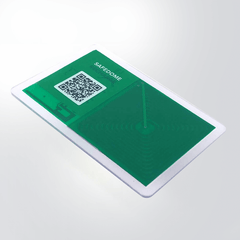 Safedome Classic is 0.76mm thin the same size as a credit card. Its super-slim sizes means it sits neatly in all types of wallets, purses, bags and luggage. Our Classic card uses Bluetooth 4 and has an outdoor range of approximately 50 meters (164 feet), this reduces to approximately 10-25 meters (32-82 feet) indoors due to interference from walls, other devices, large objects or even people.